Market sentiment has dramatically improved through the Q1 2019 period and into the first 2 trading weeks of April. Remember, April tends to be the best month of the year for the S&P 500. What else might investors be asking as the market trek’s higher without positive fund flows and seemingly stubborn CTAs and hedge funds whom are willing to wait this rally out? How’s market sentiment? Goldman Sachs (GS) sentiment indicator is also at extreme highs. This Goldman Sachs Sentiment Indicator says that an extremely positive reading +90 suggests the S&P 500 has a high probability of falling by ~3% during the following 6 weeks. When coupled with the extreme breadth thrust that has excluded a 3% decline during the current market rally, this combines to further validate the bearish slant when it comes to the overall risk/reward equation presently, given current S&P 500 levels. Keep in mind, the all-time high is only 1% away folks, that’s 1% upside probability near-term juxtaposed with many other variables at play that could elicit a market pullback. Weigh your risk appetite for the next 30-day period and review your current positions for the purpose of risk management. Spotting fear or complacency is easy, but spotting tops and bottoms are extremely difficult. 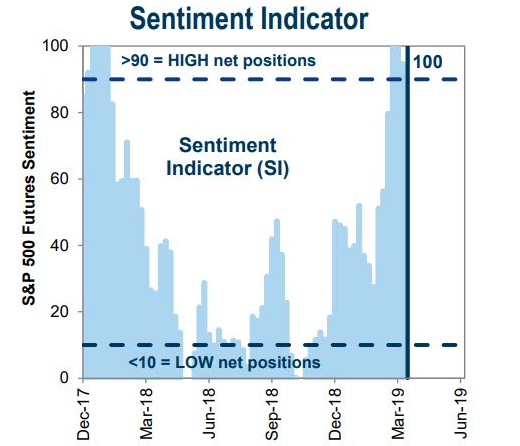 In congruence with the latest GS Sentiment Indicator reading, the latest E-Trade StreetWise study showed improved bullish sentiment among respondents. 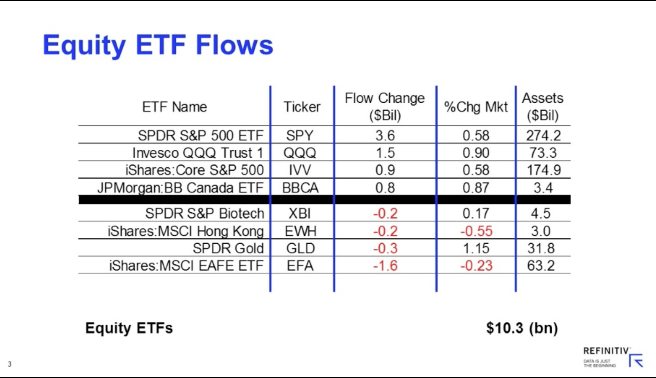 It’s clear that even with light market positioning and outflows, sentiment has improved, but only as of late. Are these the telltale signs of a near-term pullback? Sentiment indicators tend to be viewed as contrarian indicators after all. Just as the title of this segment suggests, economic data has improved, as the Q1 period turns a new quarter. From the previous weeks Nonfarm Payroll report to this past week’s Initial Jobless Claims, the economy is showing signs of having trough through Q1 and reemerging in Q2. 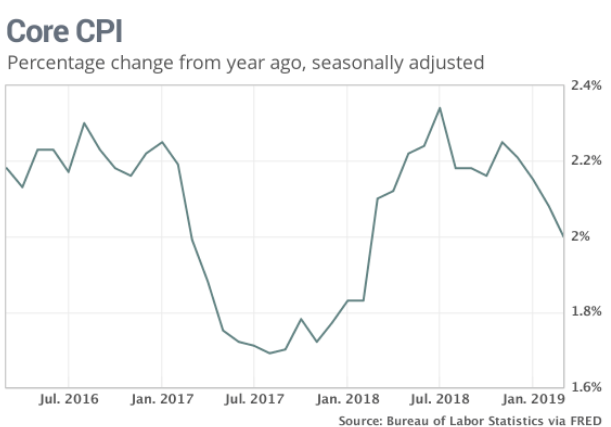 Even when accounting for food and energy, CPI came in as expected and is proving out the trend of disinflation since the summer of 2018. 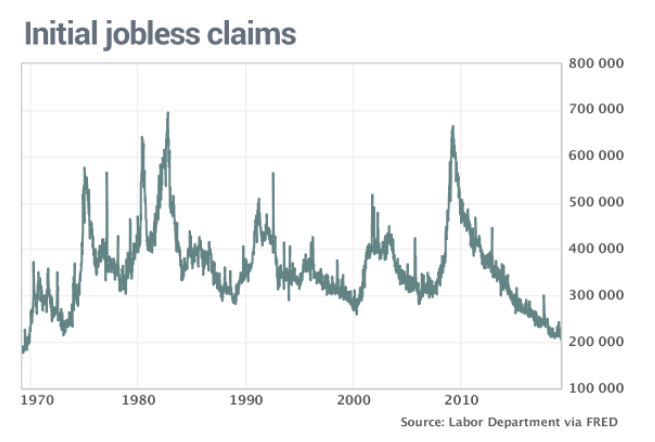 And then Initial Jobless Claims hit their lowest levels since 1969…. again! Jobless claims, a rough measure of layoffs, fell by 8,000 to 196,000 in the seven days ended April 6, the government said Thursday. Economists had been expecting a reading of 210,000. Jobless claims have fallen four weeks in a row to the lowest level in 50 years, just a few months after spiking to as high as 244,000. The more stable monthly average of claims, meanwhile, declined by 7,000 to 207,000. That was also the lowest mark since 1969. The week will not only begin with bank earnings on Monday but also the Empire State Manufacturing Index. 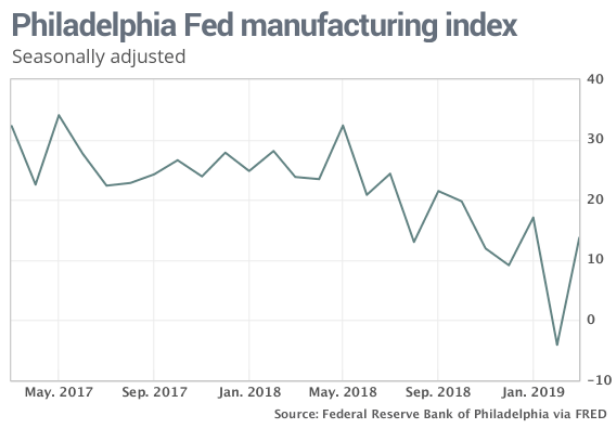 The Beige Book will be released on Wednesday only to be followed by the all-too-important monthly retail sales and Philly Fed Index on Thursday. Recall the prior month’s Philly Fed Index had a strong uptick. Many market participants will desire to see some follow through in order to confirm the worst of the economic slowdown is in the rear view window. While the composite Philly Fed Index rose, some components within the index didn’t prove as favorable. 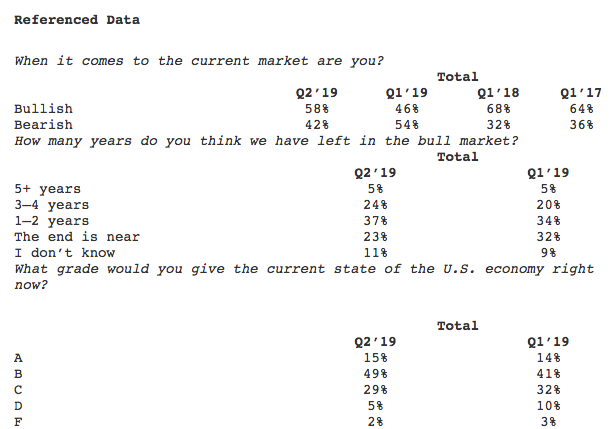 The survey’s component on new orders increased only slightly to 1.9 in March from -2.4 in the prior month, which was the lowest figure since May 2016. Shipping in the region rebounded strongly into positive territory to 20 from -5.3 in February. The survey’s employment barometer slipped to 9.6 in March from 14.5 in the prior month. The six-month business condition outlook dropped to 21.8 in March from 31.3 in the prior month. We’ll be looking for improvements in all of these components to certify that manufacturing green shoots are turning into bamboo stalks. 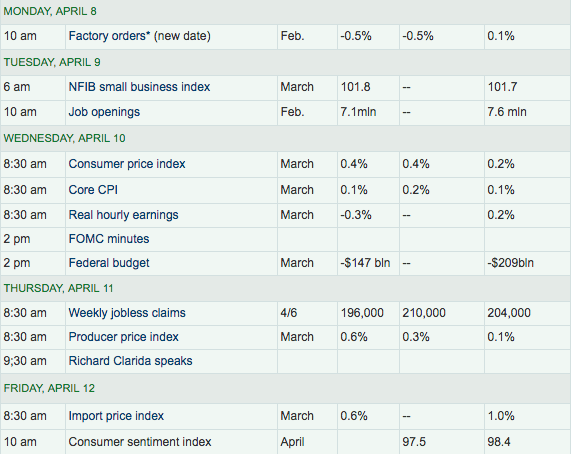 Thursday will also bring with it the latest Leading Economic Indicator results. 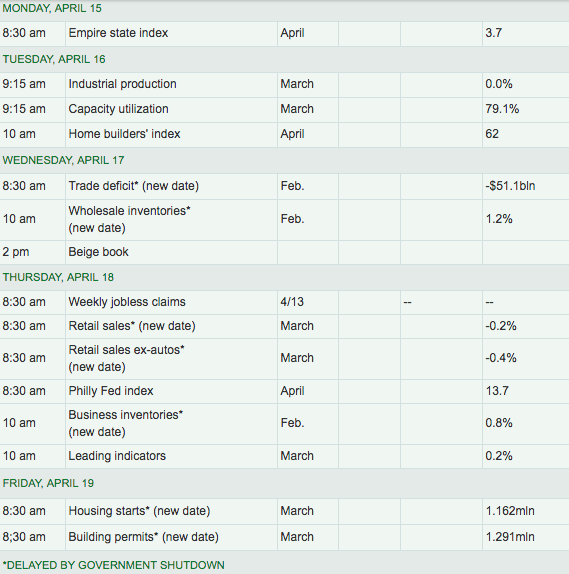 The week will conclude without trading Friday, but with the release of Housing Starts and Building Permits data. It should be noted that much of the equity market rise has been predicated upon a belief that the U.S. returning to trend growth correlates and coincides with a rebound in China’s economic activity. On Friday, Exports jumped 14.2% in March from a year earlier while imports fell 7.6% in dollar terms, the customs administration said Friday. That left a trade surplus of $32.65 billion, with the bilateral surplus with the U.S. rising to $20.5 billion in the month from $14.7 billion in February. 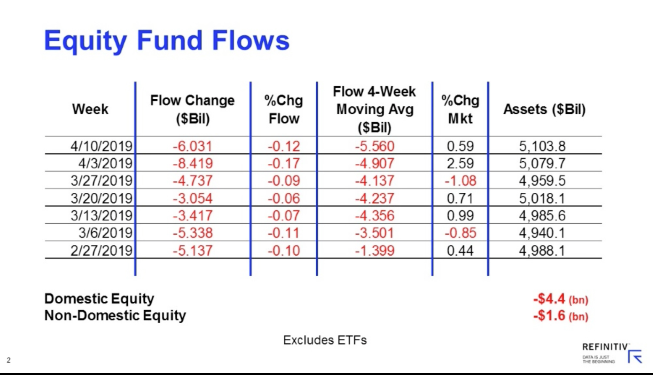 Year-to-date through the Lipper fund-flows week ended April 10, 2019, equity funds (including ETFs) handed back some $2.8 billion despite the average equity fund posting a 14.94% return.